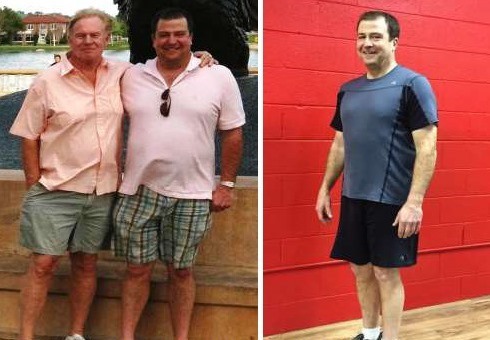 What inspired you to begin your lifestyle transformation? For the past 20+ years I was constantly on a diet but nothing ever lasted and my weight went up and down but overall it kept going up. I never was able to find a way of controlling my weight for any length of time. I also had a lot of lower back problems and was becoming more and more sluggish. I used to be out for days in bed when my back would go out. I knew I had to strengthen my back and tried different things but nothing ever worked and I never stuck with anything. Patti asked me to join the team for the Inspirational Life CHALLENGE in May of 2013. I was hesitant but I decided to give it a try. How did Inspirational Life help you achieve your goal? Inspirational Life was the first time I ever attended an organized exercise regimen. But more than that, I found the emphasis on proper nutrition was unique. It was basically simple – eat right, make healthy choices and I didn’t have to stuff myself every night as I had been doing. Brian and Cathie taught me that it was ok to be hungry. I remember reading an email about “being hungry” and that was a good thing in that it meant your body was burning fat and was a normal, healthy occurrence. Being hungry was ok for a period of time-WOW-what a concept that was for me-but it stuck! The other major change was really attending the workout sessions strengthened my back a great deal. My bad episodes were greatly reduced and they were never as bad as they were prior to coming to Inspirational Life. How have the results affected your life? I finally feel like I have a mental and physical approach to a healthier and more fit lifestyle that is there every day. No matter what happens I have an mentality and approach now that works. I have to thank Brian and Cathie for their dedication to their Inspirational family and their ability to help me to become healthier in mind and body. Describe Inspirational Life in one word.